The Malibu Task Force on Homelessness (MTFH) is very pleased to announce that its goal – to fund a successful pilot project focused on engaging and supporting a professional organization (The People Concern) to address the many, complex needs of homeless individuals in Malibu – has been met even earlier than expected! MTFH is confident that, under a new, direct agreement with the City of Malibu, The People Concern will continue to provide Malibu’s most vulnerable residents with outreach, engagement, and links to housing and critically-needed services for the foreseeable future. In July, 2018, the City of Malibu – which had previously given very generous grants to help fund The People Concern’s work in Malibu – entered into its own agreement with The People Concern, in which the City is now directly engaging The People Concern and funding its work with Malibu’s homeless population. Because the City of Malibu is now fully funding the work of The People Concern’s professional, full-time Malibu Outreach Team, and because the Malibu City Council has adopted a Homelessness Strategic Plan which highlights the need for ongoing City support of this work, it seems that the Malibu Task Force on Homelessness’ ultimate goal of sustained, long-term funding of the Malibu Outreach Team (and related activities) has become a reality. Because its goal has been achieved, the Malibu Task Force on Homelessness is winding down its work. However, individual members of MTFH continue to actively address the needs of Malibu’s homeless residents in various ways, including by providing direct services, engaging in advocacy efforts, and serving on the City of Malibu’s Homelessness Working Group. The Malibu Task Force on Homelessness is grateful to everyone who contributed to the success of its pilot program to provide professional outreach and services to our homeless neighbors, and to the City of Malibu for ensuring that these services will continue into the future! To link to the “Homelessness” page of the City of Malibu’s website, find the Malibu Outreach Team’s contact information, and learn more about the City’s Homelessness Strategic Plan, please click here. For links to all outcome reports of the Malibu Outreach Team, including the Team’s most recent report, please click here. And to learn more about the inspiring work of The People Concern (“because everyone should be housed, healthy, and safe”), please click here. 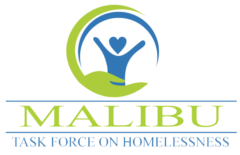 In February 2016, the Malibu Task Force on Homelessness (MTFH) – an independent, unincorporated group of community volunteers – was formed, in order to provide the leadership and resources needed to manage and eliminate the destructive consequences of Malibu’s homelessness so that the community would be protected and remain safe, and so its homeless people would receive compassionate, effective services with access to permanent housing. MTFH entered into an agreement with a professional agency, The People Concern (formerly OPCC and Lamp Community), a highly-respected, well-established, nonprofit organization which provides comprehensive, coordinated services to homeless individuals throughout Los Angeles County. With compassion and profound respect, The People Concern provides a fully-integrated system of care, including housing, mental health and medical treatment, and social services, empowering the most vulnerable among us to rebuild their lives. The People Concern began its work in Malibu on September 30, 2016, with a two-person, full-time professional outreach team, engaging homeless individuals on the streets, hillsides, and beaches of Malibu – gradually building trusting relationships and linking them to comprehensive services. Core services provided by The People Concern include outreach, housing (interim and permanent), mental health care (including psychiatry), medical care, domestic violence services, substance addiction treatment, income services, and wellness/life skills programs. Because The People Concern has such wide-ranging expertise and programs, the agency is able to tailor services to the needs of each individual. The People Concern emphasizes finding permanent housing solutions, especially for the most vulnerable. The agency works with clients on an ongoing basis, providing individuals with the integrated services they need to heal, stabilize, and improve their coping skills, with the goal of obtaining and maintaining permanent housing. Because of this ongoing support, over 95% of those housed by The People Concern remain housed. Because of the tremendous generosity of the City of Malibu, the Conrad N. Hilton Foundation, and numerous individuals, business owners, and local religious and civic organizations, the Malibu Task Force on Homelessness raised over $500,000 to provide outreach, housing, and services to Malibu’s homeless population. Heartfelt thanks to all who so generously donated to support the work of The People Concern’s Malibu Outreach Team, which gave this pilot program a chance to achieve significant results and demonstrate its value to the community! As of 5/31/18, 30 homeless Malibu residents (engaged with the Malibu Outreach Team) had successfully moved into permanent housing, and an additional 18 individuals were in interim housing. Fifteen individuals had housing vouchers or were approved for such vouchers, putting them on the path to future permanent housing. Of the 77 individuals who remained engaged with The People Concern as of 5/31/18, 62% (48 individuals) had accepted either permanent or interim housing, and were no longer living on the streets of Malibu. Many homeless residents also receive intensive, street-based services from The People Concern’s interdisciplinary teams (including physicians, nurses, psychiatrists, mental health professionals, substance addiction experts, and peers). The Malibu Outreach Team also provides “on-call, as needed” assistance (during their scheduled hours) to residents and businesses in Malibu regarding their encounters with homeless people. MTFH is confident that with the ongoing support of the City of Malibu, the Malibu Outreach Team will continue to achieve outstanding results, helping to safeguard not only the homeless individuals served, but also the community as a whole. Many thanks to the City of Malibu, the Conrad N. Hilton Foundation, and all of the individuals, businesses, associations, and congregations which provided the funding needed to get the Outreach Team started in Malibu! And thank you to the City of Malibu for recognizing the importance of this work and engaging directly with The People Concern to continue it going forward! With deepest gratitude from the Malibu Task Force on Homelessness!